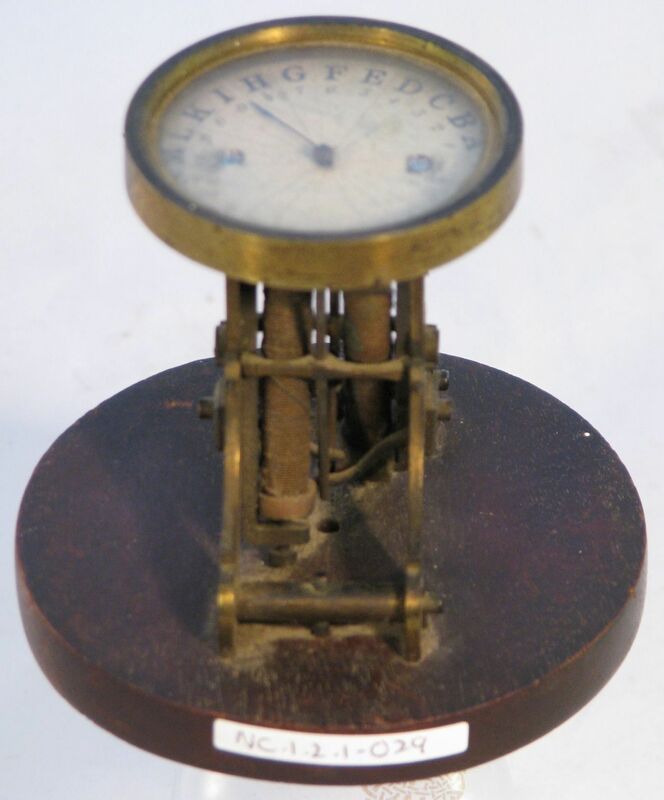 Full Description: A small version of Wheatstone’s Single Needle Telegraph, in which the long, centrally-attached needle is made to point at various letters and numbers around the glazed dial. 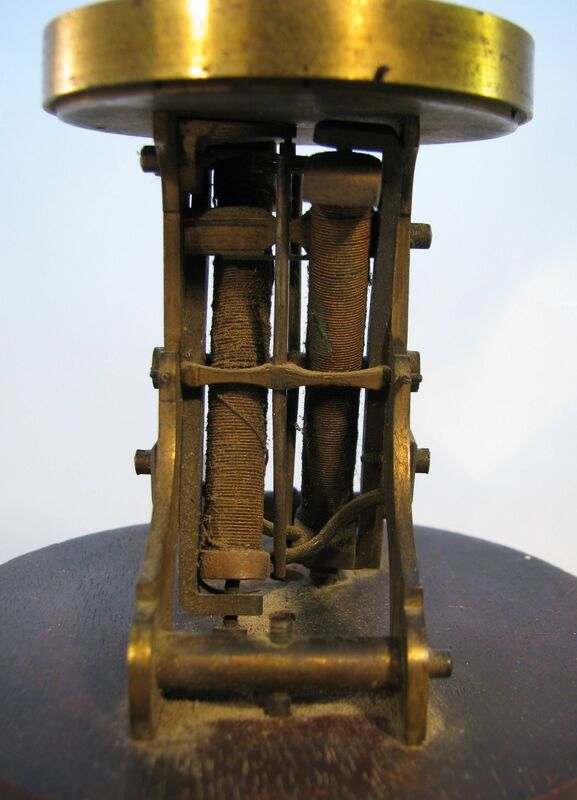 The needle is moved via impulses from two crossed solenoid coils beneath the brass-mounted glazed dial. 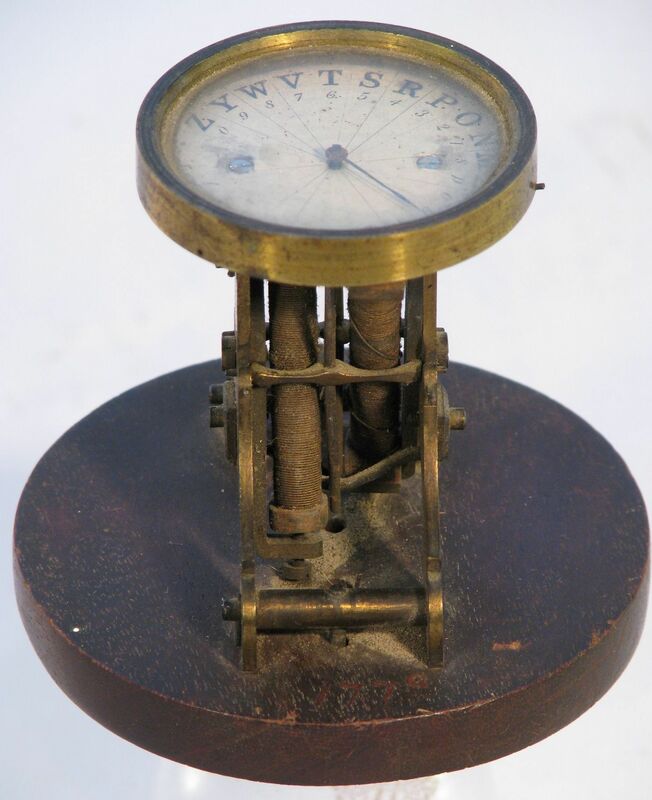 This item was recovered in the 1960s from the remnants of the Wheatstone Museum at King’s College, London, and is labelled “12”, added during one of the early attempts in the 1950s at listing the Museum’s contents.